Getting music featured on Spotify playlists is a key part of music promotion in 2017. Finding the right playlist curators for your genre can be pretty difficult so here are just 5 playlists that you can submit music for that LOVE indie/rock music. 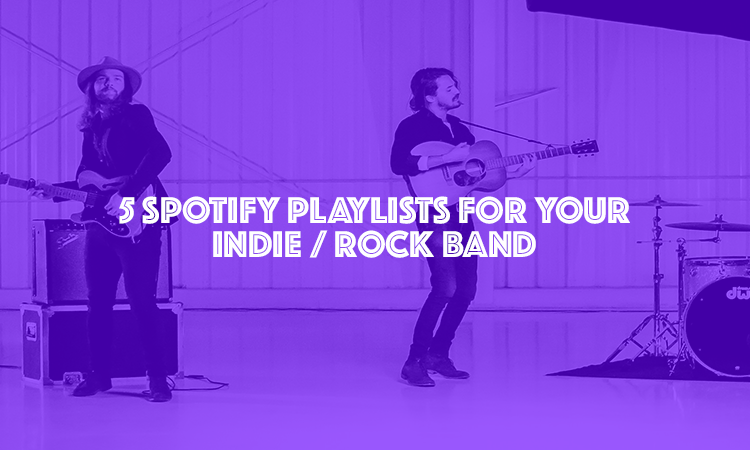 If you are in an indie band make sure you submit music, for your best chance to get on Spotify playlists. So there you have it 5 Spotify playlists your band can submit it’s music for! Click here for more great independent Spotify playlists! If you enjoyed reading this you may also be interested in checking out these music analytics tools which are great for analysing how you are doing on Spotify! Find out more about the easy way to submit music for Spotify playlists.